Could you explain OfficeR&D in a sentence? OfficeRnD helps coworking space managers to overcome the operational complexity, allow them to rely on data to grow and improve their members' experience. Why was OfficeR&D started and what is its vision? OfficeRnD started as a space management platform with the vision to improve the well-being, collaboration, and flexibility in an office environment. Quickly after we started, we realized that Coworking is exactly the office we always imagined and so decided to focus full-time on it. Read the full story here. What differentiates OfficeR&D from other management software? The business model of the coworking spaces is very complicated. That's why the management software easily becomes complicated too. We try to build our platform advanced enough to cover all business cases but at the same time to user-friendly and easy to use. Our biggest differentiation is our team of brilliant engineers and nice and friendly support people. We move fast, very fast. What are some latest features of OfficeR&D? Some of our latest features are around our mobile app and member-facing tools. We try to provide the best digital experience to our customers' members. In terms of the backend, we implemented more advanced contracts management and added lots of new integrations. What are some underrated features of OfficeR&D? I’m happy to say that all our features and integrations are heavily used. Perhaps I could say that the meeting room bookings and door access sync are the two lesser utilized features. What types of spaces should use OfficeR&D? The majority of our customers are fast growing, well-funded coworking spaces but also big, established serviced offices. OfficeR&D is the brainchild of the people of the OfficeR&D company which was founded by Miroslav Miroslavov and Miroslav Nedyalkov in Bulgaria in 2015. 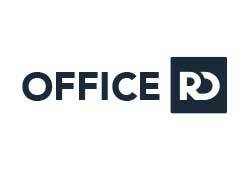 Developers of OfficeR&D software want to offer its users a comprehensive tool for flexible and streamlined management of coworking space and business premises with state-of-the-art technologies. It is currently used in more than 30 countries, with clients including the likes of Central Working, Halkin, Dogpatch Labs, Mesh Oslo, Maria.io and others. OfficeR&D features are all about data-driven functionalities to deliver excellent operative results, in parallel with lower costs and stronger sense of engagement among its users. Its features cover all aspects of coworking management, including the embedded platforms for Customers Relationship Management (CRM), Members Management, Space Management, Resources and Contracts Management. 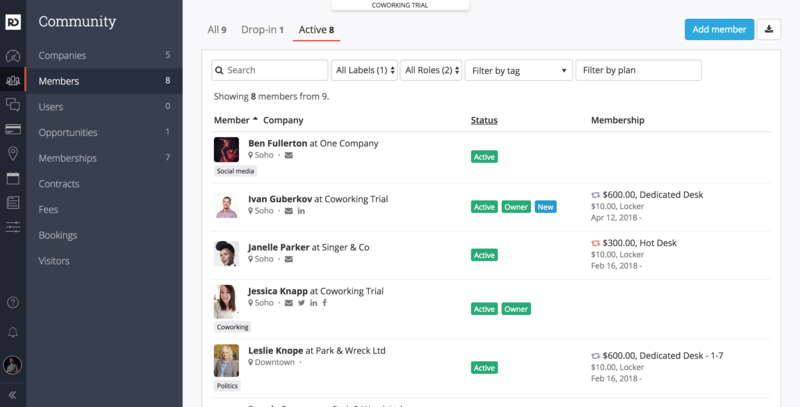 CRM feature functions as a tool for the management of all of one’s prospective members of the coworking community. It allows for easy organization of prospective customers, and the collection of data on the audience you want targeted within desired channels. It also provides support for management of email and chat platforms, phone calls and other communication channels. 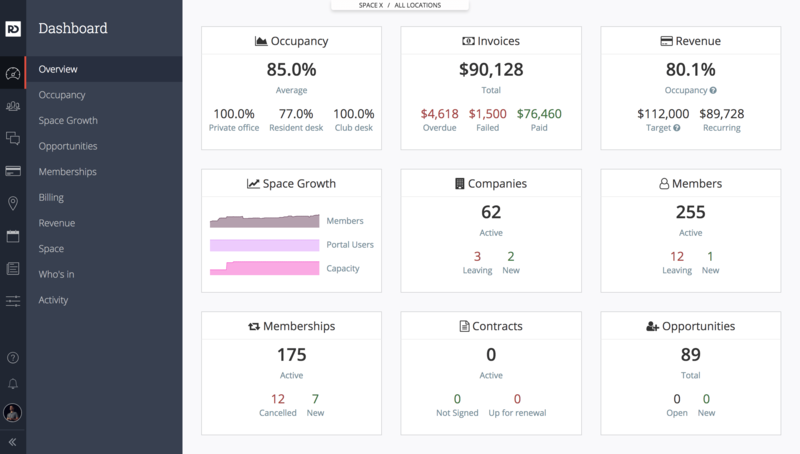 Once the prospective customers become full-time members of a coworking community, Members Management functionality allows users to keep track of their relocations, offer them new or upgraded membership plans as well as change membership data on the fly. At the same time, OfficeR&D gives users access to its Space Management feature which allows for easy handling of innumerable desk spaces and offices located across all of the covered facilities. It gives users access to information regarding the occupancy of a particular desk, its availability and the sitting places for all of the members of the coworking community. Resources Management is an advanced feature that allows for the analysis of data users are already gathering on the occupancy of particular desks. 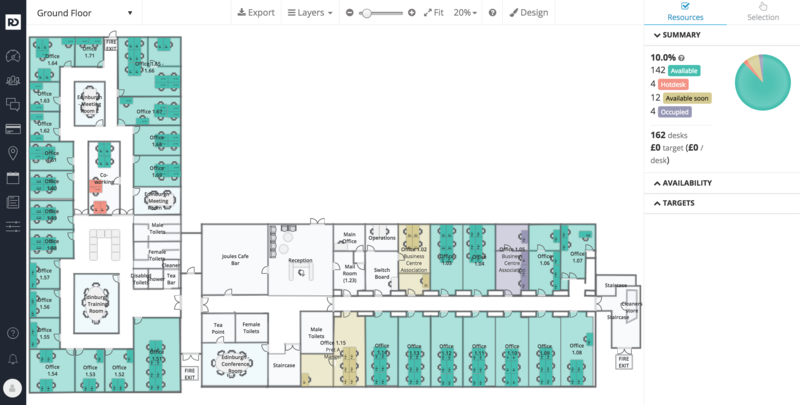 It makes it easier to keep track of which desks are permanently assigned as opposed to those which are available on first-come-first-served basis, allowing for more in-depth planning. Finally, Contracts Management features serves as a hub for the collection of all the relevant data on the members of managed coworking community. OfficeR&D gives you full insight into all of relevant coworking management data at no expense of intuitiveness and ease-of-use of its interface. Unlike its immediate competitors, OfficeR&D is designed as a total solution for one’s coworking management needs. Its features track the entire business journey: starting from the recruitment of prospective members and keeping track of occupancy desk and office spaces, ending with advanced business intelligence features which allow for better planning. For all of its features, the platform itself never loses the sight of the need to allow its user to enjoy its easy configuration and intuitive interaction with its accessible dashboard. OfficeR&D offers its users access to its public API whose main task is to facilitate communication between third party applications and its native database. 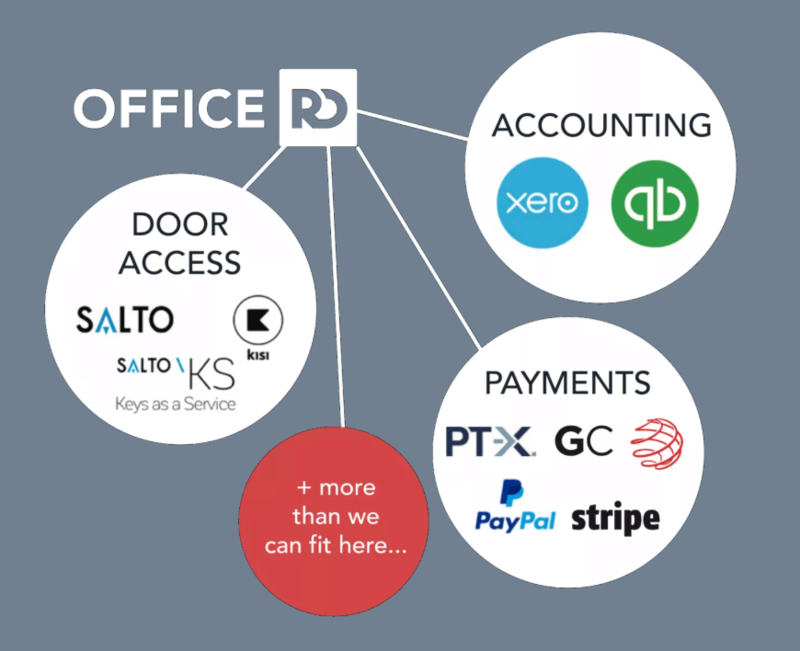 It also allows for full integration with compatible apps, including the most popular accounting platforms such as Xero and QuickBooks Online. The same goes for supported integration with payment gateways, including PayPal, Stripe, GoCardless, CardConnect, PayDock and others. Users can choose how deep these integrations run through, ranging from fully automated sync to the manual and semi-automated one. ‍OfficeR&D supports full integration with payment gateways and accounting platforms. The pricing is calculated based on two available plans. One of them features Per Member basis, starting at $1.6/ member per month, with the tendency to become lower in time. The second one uses Per Desk basis, starting at $1.4/ desk per month. In addition, its white-labeled mobile app will cost users $50/month and the users will be pleased to know that all supported pricing plans include full customer support and all available features.